Six Month Smiles are a modern form of cosmetic braces designed to quickly and discreetly improve the appearance of your smile. 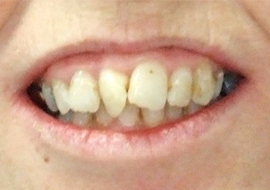 They are a popular choice for adults who have long dreamt of straighter teeth, perhaps missing out on orthodontic treatment when younger or perhaps finding their teeth moved back to their original position after treatment. Everyone deserves a beautiful smile – you deserve yours too. 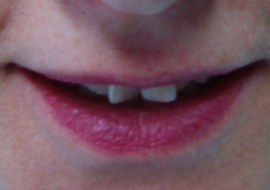 While many adults want straighter teeth, the thought of wearing obvious metal braces can be off-putting. Traditional braces also often have lengthy treatment times of 18 months or more, which is not compatible with a busy professional and personal life. Six Month Smiles are different. They embrace the traditional principles of orthodontics, but modernise them for faster, subtler treatment. As the name suggests, the average treatment time with these braces is just six months – in some cases it may be even shorter. 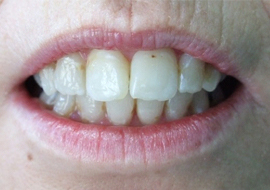 Six Month Smiles work so quickly because they focus on the front six to eight teeth – those that show when you smile. In addition, Six Month Smiles are more discreet than traditional braces because they comprise clear brackets and tooth-coloured wires, meaning that they blend in with the natural colour of your teeth. At Burwell Dental Surgery, principal dentist Sheetal Jadhav is a certified Six Month Smiles provider. She welcomes patients for consultations to assess if this is the best treatment option for you. 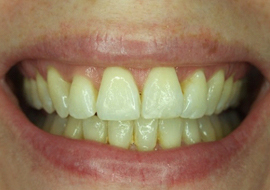 Although they are considered a cosmetic treatment, Six Month Smiles can also improve your oral health. That’s because straighter teeth are healthier teeth, because they are easier to clean, and there are fewer gaps for food particles to get trapped in and for bacteria to build up. Straightening your teeth with Six Month Smiles will make your teeth easier to clean, helping to reduce the risk of tooth decay and periodontal (gum) disease. 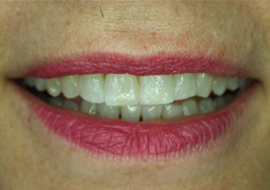 A: 6 Month Smiles™ use low force to move teeth more comfortably. Many people think that the accelerated treatment means simply "tightening" regular braces to get the teeth moving, but that is not true. 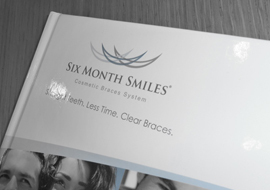 6 Month Smiles™ utilizes standard orthodontic mechanics, but with an emphasis on the cosmetic appearance of your teeth rather than the position of your bite. A: Yes, as with any teeth-straightening treatment a retainer is necessary to maintain the straighter position of your teeth. 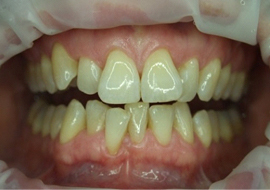 If you don't want to wear a removable retainer, you can have a bonded retainer placed. There are a variety of options that you can choose from according to your personal preference and situation.